A dirty carpet shouldn’t be neglected. Not only does it destroy the visual of your interior design, but is also a health hazard. Your carpet gathers a plethora of germs, dirt, and bacteria over time. This can cause respiratory, skin and immune system problems. If you maintain your carpet well, it can last for about 10 years! So when you’re cleaning it, make sure you avoid these mistakes. You can prevent your carpet from retaining dirt if you clean it at least once a week. Vacuum the carpet in a crisscross pattern and don’t forget to clean your vacuum’s radiators and baseboards once a month. 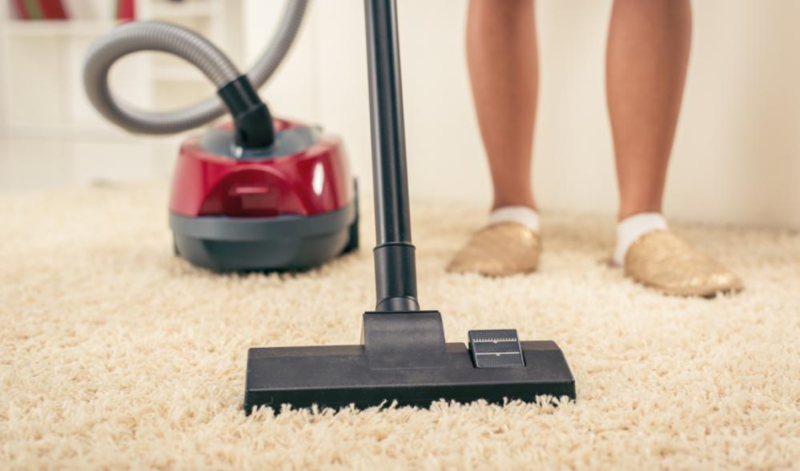 If your carpet has a weird smell, put a small amount of baking soda in the vacuum bag; this will eliminate the unwanted odour and keep your carpet fresh. Usually when you’ve some guests over at your house, it’s easy to forget about a spill on the carpet. It’s also one of the most common carpet cleaning mistakes people make. Not cleaning a spill immediately lets the liquid settle deep into the fibres of your carpet. And you lose the chance of completely removing the dried stain; this often leads to the next common mistake – scrubbing the carpet. Instead of removing the stain, scrubbing, makes it harder to clean the carpet as it sets the liquid deeper into the carpet material. In addition, rubbing at a stain with a towel can cause discoloration and damage your carpet. In case of a spill, the most effective solution is to dab at it with an absorbent cloth. It will soak up all the remnants and remove any signs of a spill from your carpet. Not all carpet cleaning products are necessarily good for your carpet. The wrong product can develop a stain on your carpet instead of removing it. If you have a small piece of your carpet cut out, you can use it to test the new cleaning product before using it to clean the entire carpet. However, if you don’t a separate piece, pick the most unnoticeable part on your carpet to test out the cleaner. But if you don’t want the hassle, hire Adam’s Carpet Cleaning to do the job. We have great carpet cleaning solutions and offer the best carpet cleaning prices in Sydney. Contact us now!